Here’s how it went down in Ibadan. The second sweetest soul on earth, Blessing Fowowe saw the game and put this report for us. 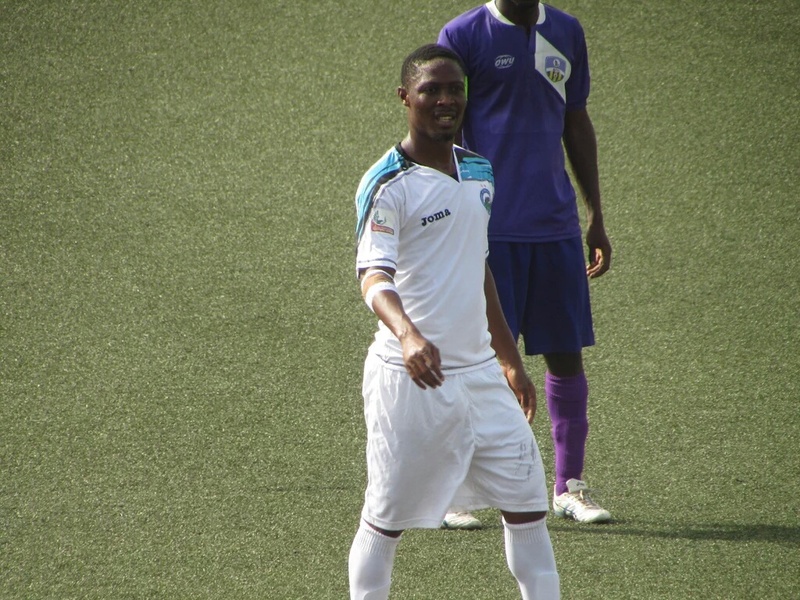 After picking just one point from their last 3 matches, the match against a struggling shooting stars provided an ample opportunity for the Paul Aibogun led boys to pick themselves up again and launch into the form that saw them go unbeaten for 9 matches, but that was not to be at a difficult away ground on a wet Sunday evening as they lost 1-0 against a team beginning to find their rhythm under returnee gaffer Gbenga Ogunbote. The match lived up to expectation and a spectacle it was, with moments to savour. Ifeanyi Onuigbo who recently switched sides from Heartland to Enyimba shot straight into the starting line-up, and although he wasn’t the sharpest of strikers on the pitch his work rate and effort was quite commendable. His first touch in the evening resulted in a shot which went straight into the waiting arms of Shooting Stars Beninese goalkeeper Emmanuel Fabiyi. The referee had a decent game, and would not be moved by calls from home fans to give decisions in their favour, but he had no choice but to award a free kick to Shooting Stars in the 24th minute when Sunday Adetunji was brought down at the edge of the box. Yinka Adedeji then delivered a perfect cross beating the offside trap being kept by the Enyimba defence, allowing Ajani Ibrahim send a flying header past Moses Ocheje. With plenty of time still to play for in the first half, the Aba elephant were presented with a chance to level matters following a crisp, sweet one-two passing movement between Ifeanyi Onuigbo and Daniel Etor, but Etor could only blast high over the bar with only Fabiyi to beat. Both teams picked up from where they both stopped in the first half with exciting, end to end football leaving the fans wanting for more. Referee waved away a blatant penalty against Enyimba after a defender handled the ball in the Enyimba box, and that drew the ire of home fans who almost pelted the assistance referee with bottles for not picking out the handball. With time ticking by, Aibogun injected fresh legs into the game, bringing out Ezekiel Bassey for Abu Azeez and Ifeanyi Onuigbo for Andrew Abalogu, but that couldn’t break a resolute Shooting Stars who were determined to get their first victory in six games over Enyimba. The result however couldn’t get Shooting Stars out of the danger zone, but fans of the Oluyole Warriors have hope of escaping relegation after all, but for Enyimba the defeat meant they stay 7th position with a game in hand and a little dent to their ambition of defending the title they won last season. Is there anything more to say? None that I can think of. Perhaps we are making meal of Enyimba’s poor results but take a look at the League leaders (Wikki Tourists and Rivers United) and see just how difficult it is for them to lose games nowadays. Sadly, ours is a different case. But we stick together and keep fighting. We will get thru this bad spot soon. Soon and very soon! I hope. And pray and believe. Next postPostponed fixtures, fines and other things.